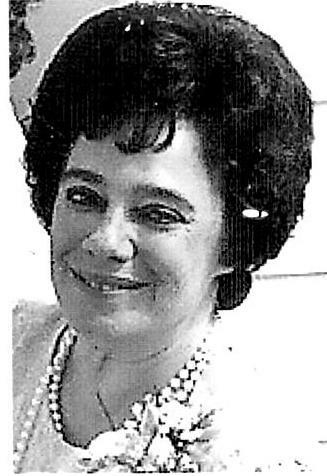 Nancy L. Rodgers 79 of Ravenna died Tuesday, September 11, 2018. She was born April 25, 1939 in Somerset, PA to Dennis and Ida (Burkett) McClintock. Nancy worked as a cleaner for GE in Ravenna. Survivors include her husband of 40 years Ronald Rodgers, children Nancy Oberholtzer and Richard Harper, Jr., stepchildren Evie Jackson, Patricia Rodgers and Ron Rodgers, Jr., grandchild Shawnn Oberholtzer and siblings Donald McClintock and Sandy Hensen. She was preceded in death by her parents, daughter Karen Martz and siblings Dennis and Larry McClintock, Audrey Smith, Shirley Collins, Terry Johnson, and Margie Darby. Memorial calling hours will be from 1 PM until time of memorial service at 2 PM with Friday, September 14, 2018 at Shorts Spicer Crislip Funeral Home Ravenna Chapel. Reverend Gary Beck will officiate.